Learning to play the guitar faster is what a lot of beginners strive for. And, we totally get it. When beginning to play the guitar, the players such as Steve Vai and Guthrie Govan are god-like figures who effortlessly play at blistering speeds… So why can’t you? Well, the answer is that you can, but like anything in life it takes work to achieve your goals. 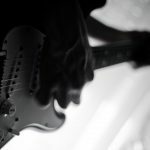 It’s no secret that many of the top shredders in the world started off by playing scales until they were blue in the face, painfully labouring over their techniques until getting to the point of shredding accomplishments. There’s no easy route, but then again nothing worth having should come easy. Let’s break down eleven realistic and (we hope) helpful tips to taking your playing up a notch when it comes to improving speed. We’ve added this step first because, if you do not choose a scale or exercise that you’re actually interested in, you’re never going to invest the time in to actually sitting down and going over the exercise, hour after hour. For example, when teaching guitar, many teachers will ask the pupil their favourite genre and then craft their lessons accordingly. So let’s say that your favourite genre is blues. Naturally, we would pick the pentatonic scale for you to labour over. And why’s that? Because it has real-world applications in the sense that you can actually use this scale in a song or when soloing. There’s no use in running up and down the neck with all fingers if you cannot build up your muscle memory enough to use the scale when you need it. And why would you want something non-musical stored in your muscle memory…Anyway, we digress! On to the next one. This one is obvious, but often a point of frustration and can be overlooked. 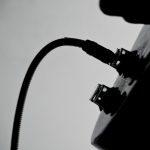 Practicing slowly is what will make the difference between you playing fast in a sloppy style, and playing fast in a smooth, legato-esque style. If you’re committing to learning to play fast, you may as well cover as many bases as possible. Doing so will also force you to split your guitar playing time up, and keep your mind interested. Also, you may find that you’re better at one technique than the other, which is totally fine. For example, it’s clear that Paul Gilbert prefers clean alternate picking, whereas Joe Satriani lives and breathes fluid legato. We’re not saying one is better than the other, just that by practicing as many different techniques as possible that you’ll find the right set of techniques for you. You’ll have heard this before, whether in relation to playing fast or simply when practicing. But, metronomes certainly do stand the test of time, and with good reason. Metronomes allow you to slow your playing down and focus on specific issues, working through them slowly to ensure your technique is perfect. Additionally, with a metronome you can pick ‘fast’ passages from your favourite shredders, and break them down slowly. Herman Li’s famous ‘Through the Fire and the Flames’ sweep picking intro is one that’s used with a metronome a lot, and when you dive into the sweep picking passages it’s easy to see why. You also shouldn’t have to spend a fortune on a metronome. Guitaarr recommends the Korg TM60-BK, which is a digital metronome and nowhere near as clunky as the originals! String skipping is a fantastic way to improve your dexterity, forcing you to jump across strings even in standard scales or exercises. For instance, when playing the pentatonic scale starting on the low E string, you can skip from the low E to the G, back to the A, up to the B, and so on. Just be sure to go slow as string skipping can get a bit frustrating! If you’re not one for listening to the ‘beep’ of a metronome, there are other options open to you. 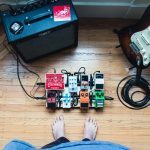 Loop pedals are an incredible tool, not just for practicing but also for getting really stuck-in to a groove or a jam. 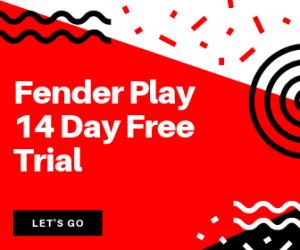 With the loop pedal you can set a background of chords or a tempo to play over, which just makes your slow practicing that bit more interesting. Many loop pedals also come with drum machines which, let’s face it, are just used as fancy metronomes for many practicing guitarists. If you’re stuck on which loop pedal to choose have a quick look at our guide. We highly recommend the Boss RC-30 if you’re just looking to get stuck straight in to the world of the looper! Playing slowly can really start to be a bit of a drag. Even though it’s necessary, you’re going to want to break out of the box eventually. So, go for it! Speeding up slightly is recommended to see how far you’ve come with your practicing, and will also keep you motivated as you start to reach tempos when your technique has started to decline. Just like working out, learning a new skill for your career, or keeping a travel log when out and about, logging your progress and the specific exercises you’ve been working on is an excellent way to keep track of how far you’ve come. We recommend revisiting scales and exercises from previous months, comparing metronome or loop tempos to the previous time you played that specific scale. Trust us, you’ll see the progress and stay on track when looking at how far you’ve progressed in a relatively short space of time. You’re going to build up tensions and stress in your neck, shoulders, hands, and inevitably your back if your posture starts to suffer. If that’s the case, stop. Like anything, you can do too much and when it gets to that point your technique will start to decline. Check out this guide of stretches for guitarists and think about adding them to your daily routine. Stay healthy out there folks! If you really want to be sure of your progress, get the video camera set up. It might seem like a bit of overkill, but if you really want to motivate yourself then seeing a video of your progress is an amazing motivator. You don’t need a fancy video camera either, your laptop webcam will do. If you haven’t got one, pick up a cheap video camera for practicing such as the Melcam HD (we have zero complains and who can argue with that price). The last thing you want to do is practice to the point that you start to get burnt out. 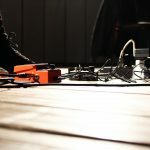 Just like your work life, or when working out, over-practicing can get to you, and your playing will start to drop in technique and overall quality. Recharge, reset, and come back to that speed exercise with a vengeance!